After launching in the US a little over a month ago, Amazon’s Echo Spot is starting to ship internationally. We should be able to see the small new Alexa device on sale already. The Echo Spot is Amazon’s second Echo device with a touchscreen. 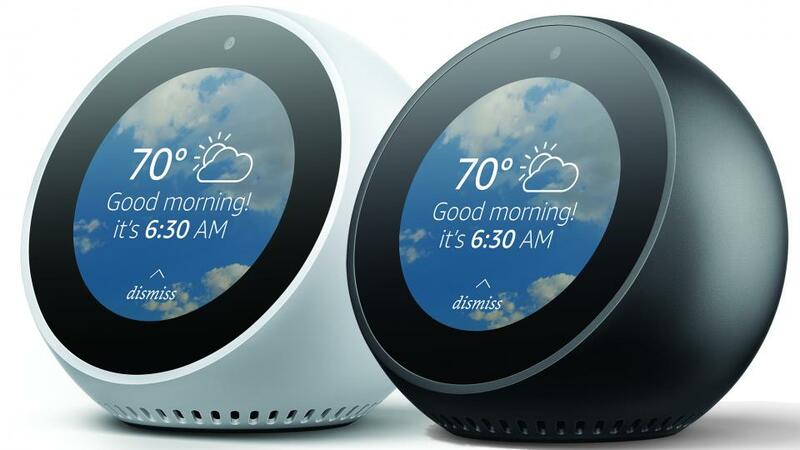 And while it can do all the same things as the much larger Echo Show, its clock-like shape and size mean it’s better suited for other areas of your home. The Echo spot if selling for £119.99 in the UK which is thankfully cheaper than the Show. Unfortunately the video capabilities are limited and there is some weird cropping of the video to fit on the round screen. Its probably going to just be used with a baby monitor or your doorbell camera or video chat. These devices are always getting smarter as new skills are developed and new features added. http://www.thebotforge.io/wp-content/uploads/2018/04/BotForgeLogo-b-1.svg 0 0 ajwthompson http://www.thebotforge.io/wp-content/uploads/2018/04/BotForgeLogo-b-1.svg ajwthompson2017-11-24 07:42:012018-06-27 22:53:50Dialogflow Enterprise edition announced.